Hello Visitors! You would have already read tonnes of articles about how android Games can be hacked? Today, I shall try my best to explain briefly the method of hacking android Games. 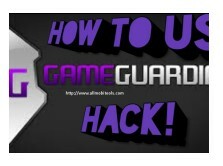 Hopefully, this article will truly make you enable to hack any android video Games. It is mandatory for you to read this article very carefully so that you could understand each and every word. In spite of doing my best to explain, I can't claim that my this topic will make you a programmer, but I sure that by using some of the applications you will fulfill your job of hacking any video game.In addition, this article would be helpful for those geeks or tricklers who want to tamper the game score, game coins and game steps, this post will not for those who want to hack online games, this will be for those who are conscious about hacking of offline games. Now, come to the point and let's start the real job. You are in about to hack offline games, especially those games which involve single player. In case, if, it is difficult for you to earn coins, to complete the game or you are not skipping the step to cross the game, then it is very important for you to stick in here to read the next few lines. First of all, you are required to root your device. For this purpose, you can pick up any of the best rooting application and, instead, you can find one from the website your are reading. Download Game Guardian APK from the linke shared below. You can tap on the download link button to get the file. You should check the unknown source button, as you are downloading the application from the link shared below, the google play store would not allow you to install the application on android operating system, so check the unknown source button, then install the Game Guardian APK on your device. It would take some time to download, so wait and allow the application to install. Now, after installing this application on your device, leave the application there and open the game which you want to hack. Play some game and earn some scores, like in initial stage, try to make scores which should not be complete digits like 456. Open the screen of Game Guardian APK, a search bar will be appear over there, tap on the search bar and insert the number or score you have recently made, or what you want to change. Insert those numbers there, and tap the search button, and carefully observe the results, if the results are more than one, you should play the game again, earn some different digits of the score and then press the search button, insert that number, and search, the result should be one. Now, if you found the only one digit, the scores what you have made now, then change the digits to your desired digits or numbers. You will see, after this on your game screen, the digits or scores or coins have changed already. Enjoy the limitless coins and scores, you can have snaps of those scores you made, an unbelievable number to show your friends. This Game Guardian APK is a wonderful and powerful application, which can make you to change the scores of your game. You can download this magic application from the official link shared below. You can tap the download button and get the download link. The official link shared below is trustable and well working and also this link is free of dangerous viruses. However if the link, by any reason, is not working or if face any error during downloading, you should comment down in comment section so that our team fix the issue as soon as possible.